The Supreme Court Thursday directed the Higher Education Commission (HEC) to provide verified copies of certificates and degrees of Liaqat Hussain Bhatti, former Federal Minister to the apex court and all the stakeholders. 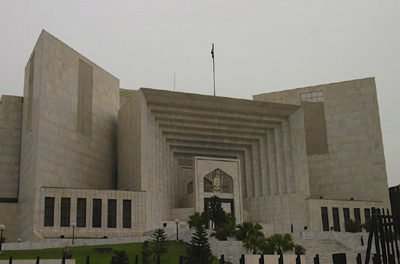 The directions were issued by a three-judge bench headed by Chief Justice, Iftikhar Muhammad Chaudhry during the hearing of fake degree case of Liaqat Hussain Bhatti, former parliamentarian from NA-103, Hafizabad. Counsel for HEC appeared before the court and apprised the bench that the Punjab University quashed the graduation degree of Bhatti on September 17. Counsel for Bhatti apprised the court that his client contested the general election of 2008 on the basis of that degree. While the counsel for the petitioner stated that Bhatti not only contested 2008 on the basis of fake BA degree but he also remained Federal Minister for Works during the Peoples Party government. The bench was informed that after the 2008 elections, Bhatti again contested in May 11 election and was elected, however his notification was not issued as he was having fake BA degree and the Election Commission of Pakistan (ECP) announced by-election on NA-103 seat. The court was also informed that vide ECP election notification; Bhatti was restrained to contest election. During the course of proceeding, the bench expressed dissatisfaction over the performance of HEC which was failed to provide the authentic copies of the certificates of Bhatti. The court in its order directed the HEC to provide the copies of Bhatti’s certificates and degree to the court and also to the other party and adjourned further hearing of the case for ten days.